Police urged people to stay away from a rave in Burgess Hill last night. Hundreds of people began arriving in the town at around 11.30pm, via the railway station with the intent of attending the rave, said police. Officers, working with their British Transport Police colleagues, were able to identify people travelling to the illegal event and began to turn them away. 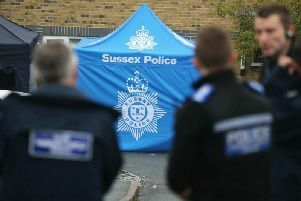 Detective Superintendent Carwyn Hughes said: “We are in Burgess Hill and requesting that if anyone is on their way to the town or the rave, they don’t attend. “The temperature is close to freezing and many people turning up are now outside in this weather. We are urging anyone on their way to please not attend. Victoria Way was closed while officers were in the area.